Last year we noted that a bill to expand local authority to invest in publicly owned broadband networks would return in 2012. HB 1711 is in Committee and causing a bit of a stir. "A bit of a stir" is good -- such a reaction means it has a chance at passing and giving Washington's residents a greater opportunity to have fast, affordable, and reliable access to the Internet. Washington's law presently allows Public Utility Districts to build fiber-optic networks but they cannot offer retail services. They are limited to providing wholesale services only -- working with independent service providers to bring telecom services to the public. Unfortunately, this approach can be financially debilitating, particularly in rural areas. Building next generation networks in very low density areas is hard enough without being forced to split the revenues with third parties. Broadband infrastructure is this century’s interstate highway system: a public investment in an infrastructure that will rapidly connect Washington’s citizens statewide, nationally, and internationally; fuelling growth, competition, and innovation. Like highway access, the path to universal broadband access varies with the needs of the local community. Our primary goal is to expand broadband access. We believe allowing municipalities and PUDs to provide broadband services addresses the most significant hurdles to broadband expansion: the high cost of infrastructure. In conjunction with a state USF, PUDs and municipalities are well placed to address the needs of their consumers. A secondary goal is to promote a competitive marketplace. We believe that empowering PUDs and municipalities will spur competition which will drive innovation and improved service. To be successful private providers need to be able to generate profit for their shareholders. However, when an effective competitive marketplace does not exist, private providers only have a weak incentive to expand access to broadband services. In fact, the scarcity of service justifies the collection of high rates from users. In Washington’s urban areas, the barriers to entry are so high that incumbent providers have little trouble keeping new providers from entering the marketplace. Qwest (soon to be CenturyLink) and Comcast, merely vie for existing users, rather than expanding the overall number of ratepayers. In contrast Washington’s rural areas are characterized by low population density and large geographical distances between communities. The lack of concentrated business consumers in a given area translates into weak or non-existent business case for providers to build broadband infrastructure in rural areas. Arguably, rural areas are poised to reap the biggest rewards from broadband expansion, quickly integrating communities into existing networks of private and public service. Not all public utility districts are pushing for this law to be changed. I asked the Chelan Public Utility District (one of the oldest and largest public services providers in the state, which we have previously covered here) about their position on the legislation. Chelan is not interested in offering retail services but does not oppose changes that would allow other PUDs to do so. They rightly oppose any law that would require PUDs to offer retail services -- something with which we strongly agree. State legislatures should not be telling communities what business model they have to use. Getting back to HB 1711, it is presently in the Technology, Energy, and Communications Committee. The bill's author, Representative John McCoy has taken the arguments of opponents into account by limiting the impacted public utility districts to those in a county with 300,000 people or fewer. To build a network and offer retail services, a public utility district (or rural port district) would have to gain the approval of its governing board after a public meeting and be subject to state regulation for the services it offers. The original bill also granted the authority to municipalities to build retail networks -- a right that munis appear to have presently but it is not clear (inviting expensive litigation from big anti-competitive providers). That provision has been removed from the present bill. The bill's opponents may be separated into two groups. The first is the usual gang of big, absentee corporations like CenturyLink, Frontier, and Comcast that typically oppose any legislation that could create competition to their services. They have a ton of lobbying power and very little desire or capacity to solve the rural broadband problem in Washington state. The second group is more interesting. It is a collection of local businesses that are actually rooted in the community. Many are ISPs that operate on existing wholesale-only networks owned by public utility districts. They are afraid of either being kicked off the network or having to compete against the PUD itself in provisioning services. These are certainly legitimate fears. Unfortunately, the small providers are also limited in the capacity to build the necessary networks needed to bring modern connections to everyone in the state. Offering service on an existing PUD network requires far less capital than building their own network. If the state wants to move toward a Washington where all residents and businesses have fast, affordable, and reliable access to the Internet, it has to risk upsetting the small ISPs. They do not have the capacity to connect rural Washington; the public utility districts and local governments have not just the capacity, but also the responsibility. It is time for the state to stop making it all but impossible for them to do so. Local communities must have the freedom to build the networks they need without interference from federal or state capitals. Quoting from the Federal Communication Commissions' National Broadband Plan: "Congress should make it clear that Tribal, state, regional, and local governments can build broadband networks." Former FCC Commissioner Copps recently said, "So it is regrettable that some states are considering, and even passing, legislation that could hinder local solutions to bring the benefits of broadband to their communities. It's exactly the wrong way to go." 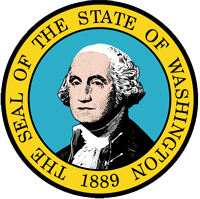 Washington is smart to expand local authority in this matter. Local citizens are the best judge of whether a network is necessary and desirable as well as the most responsible business model.